While Microsoft was busy showing its new Surface tablet at an event in Los Angeles, Apple released a new iPad TV commercial to catch the attention of the users. The new iPad advertisement maybe aimed at to divert all the attention back to the new iPad after the Microsoft surface tablet launch event. The voice in the advertisement says, "Send a note, stay informed, catch a show, make your point, make a memory, make a masterpiece, read something, watch something and learn something. 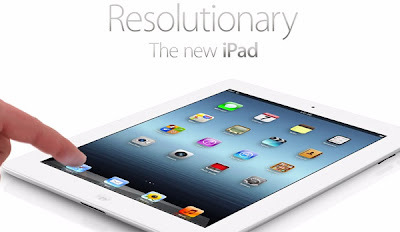 Do it all more beautifully, with Retina Display, on iPad." . The timing of the advertisement may or may not be intentional but probably it was the right time for Apple to release a new commercial which can force users to think about the new iPad with Retina Display rather than thinking about its competitors. What do you think about this commercial? Was the timing planned by Apple to coincide with Microsoft;s Surface tablet launch. Tell us in comments below!